Extend Battery Life 1 Year +! Ha01 is specialized for keep up the voltage balance of batteries connected in series during the Charging and Discharging process, due to differences in the chemical composition and temperature of the battery cell that connected in series, It causes two battery charge and discharge differences even the battery is idle, also due to the different levels of self-discharge could lead to an imbalance between serially connected battery at charging process, because there are differences, it could make a battery excessive charge or discharge, and the other one insufficient charging or discharging. as the charge-discharge process repeat, this difference will gradually strengthen, eventually leading to premature battery failure. 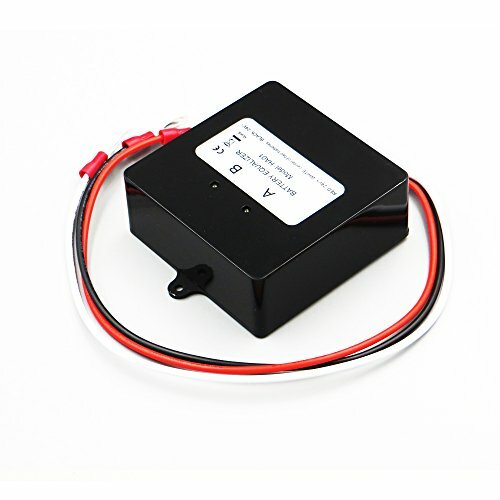 BE battery equalizer can compensate both parties when the battery are connected in series as voltage difference exceeds 10 mV, then the battery equalization starts to work, Final achieved balance of the batteries set. It can be connected for long periods for automatically battery state of equilibrium. If you have any questions about this product by DPJ, contact us by completing and submitting the form below. If you are looking for a specif part number, please include it with your message.